View More In Bowls - Page 5. 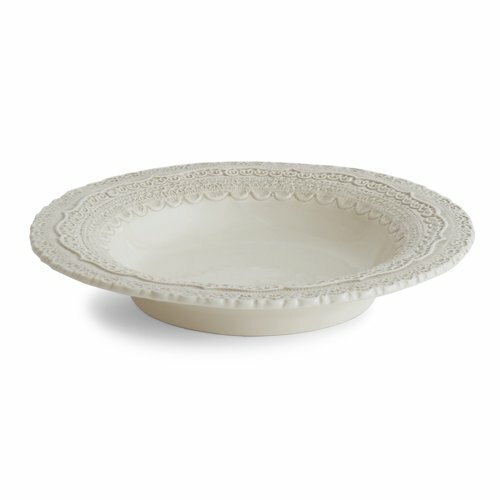 The Finezza Cream Pasta/Soup Bowl adorns an intricate lace design on its border. A beautiful serving piece for any table. Italian ceramic, Hand made in Italy. Dishwasher Safe.